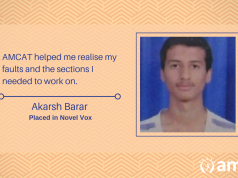 'I was able to know my weaknesses,' shares Saurabh before he cracked his dream job with Axis Bank, following a good AMCAT test. Getting a good fresher job at the start of your career. Quite a deal. Isn’t it? 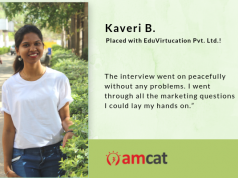 Meet Kumar Saurabh from Invertis Institute of Engineering and Management and know how he managed to get a job at Axis Bank. Q: Tell us something about yourself and your career goals. My name is Kumar Saurabh and currently, I am working in Axis Bank as a Sales Manager. My career goals is to work with a reputed bank and eventually be in the top management. Q: What difficulties did you face while searching for a job and how did you overcome those difficulties? The major difficulties were communication inefficiency and low confidence. 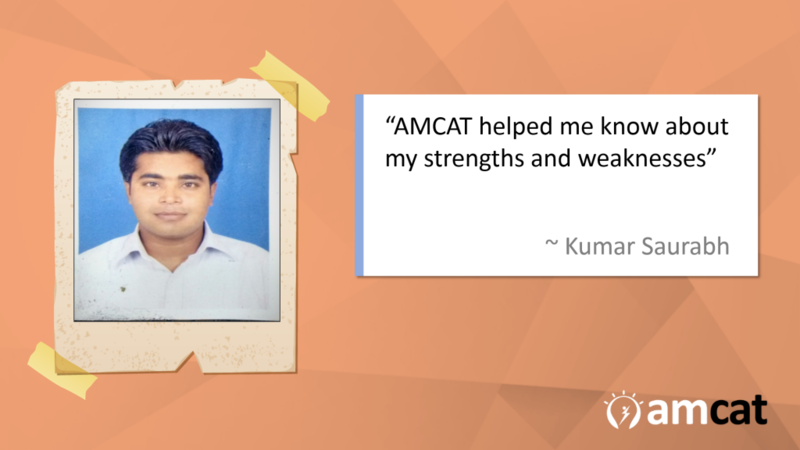 Q: Tell us about your experience post giving the AMCAT test and how AMCAT helped you in getting the job at Axis Bank? I took AMCAT and after some days I got a call from AMCAT regarding shortlisting in Axis Bank. After that, I filled the online form and start preparing for the interview and cracked it. 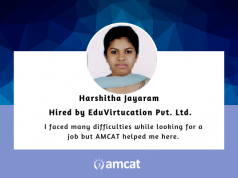 Yes, I will suggest AMCAT test to every job seeker because AMCAT is very useful for every jobseeker. It will help you to get good jobs. Q: Would you like to share some tips which can help other job seekers in getting a good job? Improve your communication skills. Develop a positive attitude and learn to reflect it in your answers. Find out your USP’s(Unique Selling Points), it will help to make a special mark. Do you feel ready to give it a try? Then schedule an AMCAT test today.